Home Blog How to update Abandoned Cart Lite for WooCommerce plugin? 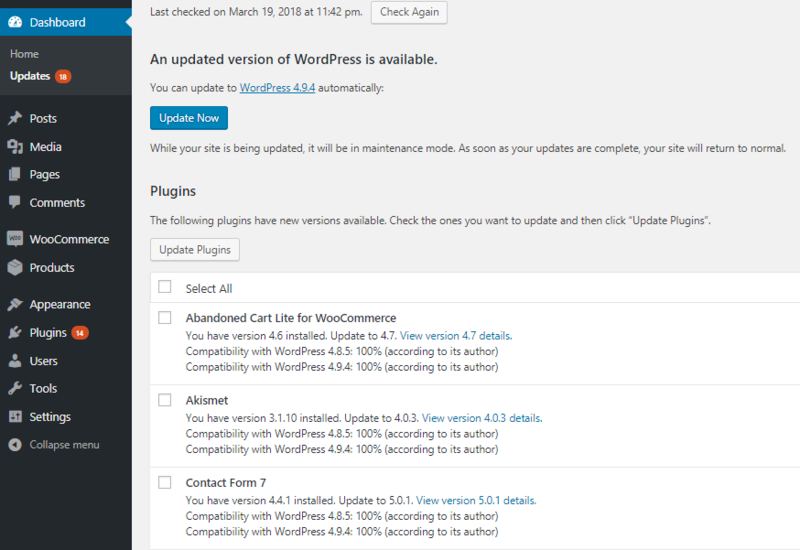 There are 2 ways in which Abandoned Cart Lite for Woocommerce plugin can be updated. So whenever you need to check if there is any update available for any plugin, you can simply view this page. If you want to update more than one plugin, simply tick the check boxes of those plugins and click on Update Plugins button. Here you will find all your installed plugins. There will be a message below each plugin that has an update available with their version details and an update now link to update that plugin. 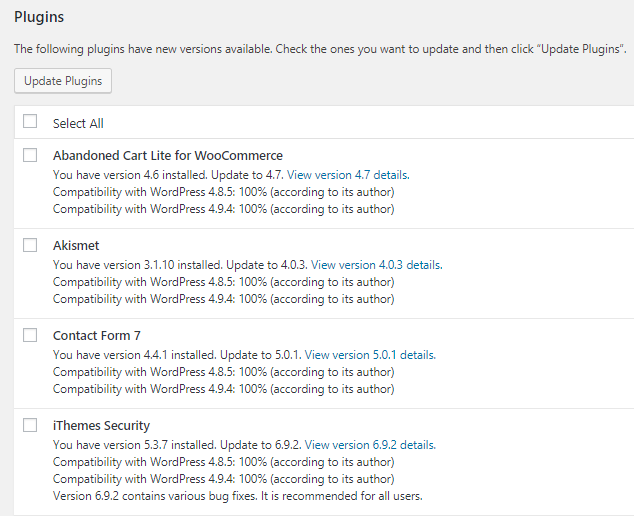 You can update the Abandoned Cart Lite for WooCommerce plugin by clicking on its update now. 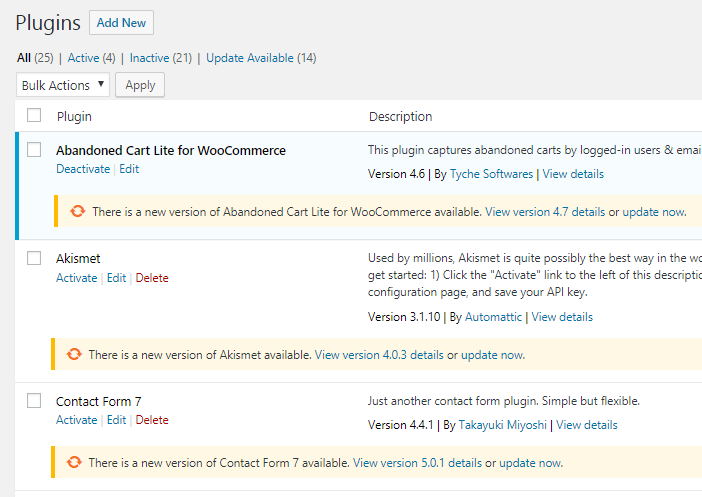 You can now configure settings for the new features of Abandoned Cart Lite for WooCommerce plugin.